Don’t miss this very original red from Swartland! Lovely blend of Rhône varieties : Syrah (60%) and Cinsault (40%). Surprisingly fresh, elegant and well balanced, it displays charming fruity, peppery and subtle animal scents. 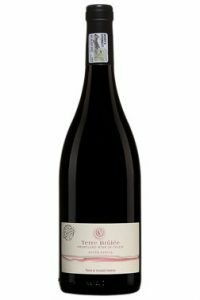 Made by Loire Valley producer Vincent Carême, this well priced red will marry perfectly with turkey scaloppine in a Madeira and mushroom sauce.